SS Series Medium Duty Bolt Hole Stainless Steel Castors with a High Temperature Rubber Wheel are ideal heat resistant stainless steel castors for use in ovens, kilns and freezers and can withstand extremes from -30°C up to +260°C. The temperature resistant rubber wheel the single bolt hole attachment makes these stainless steel castors easy to fit. 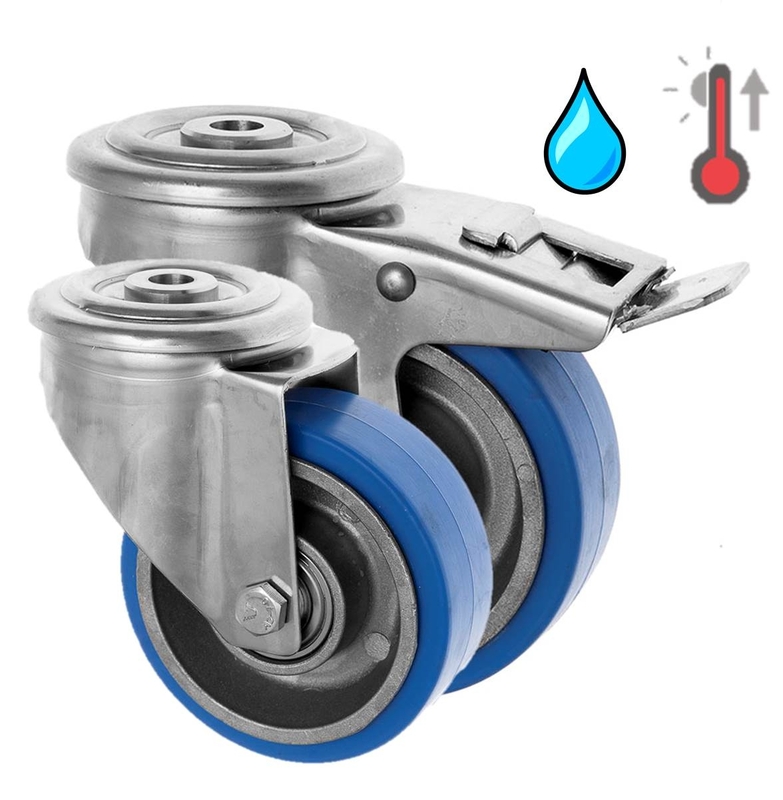 These castors are available either with or without foot operated brakes.